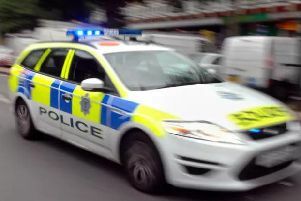 A 22-year-old man was left seriously injured after his car collided with a tree on the A361, Banbury Road at Chipping Warden, early yesterday (Sunday) morning. The crash occurred at 5am when the car, a black Seat Ibiza FR, left the road. The driver was taken to John Radcliffe Hospital in Oxford with multiple broken bones. Police would like to speak to anyone who may have witnessed this incident or who may have witnessed a black Seat Ibiza travelling on the A361 in the early hours of Sunday morning to contact them. Witnesses or anyone with information is asked to contact police on 0800 174615.